5-14 High and dry, you pick this fresh fruit. 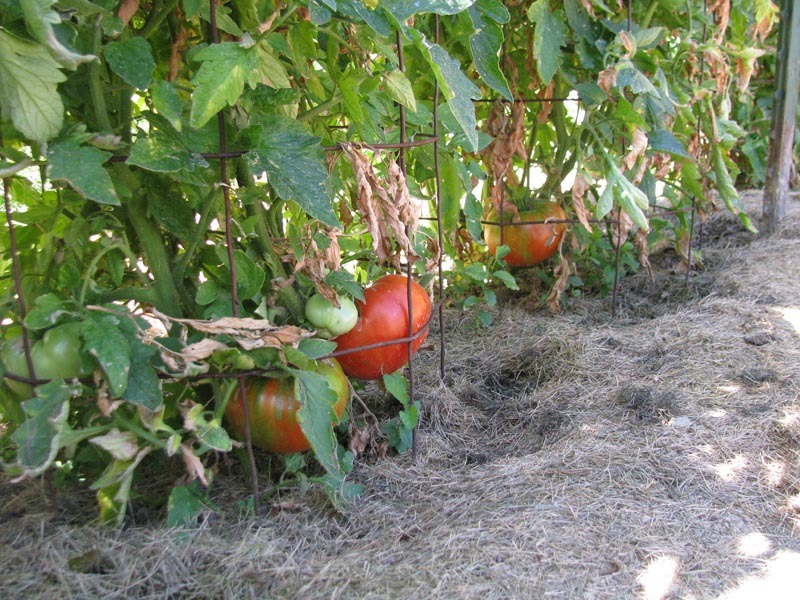 Keep your tomatoes from fruit rot and slugs by using sturdy, tall cages. You use 1/10th the ground to grow tomatoes.